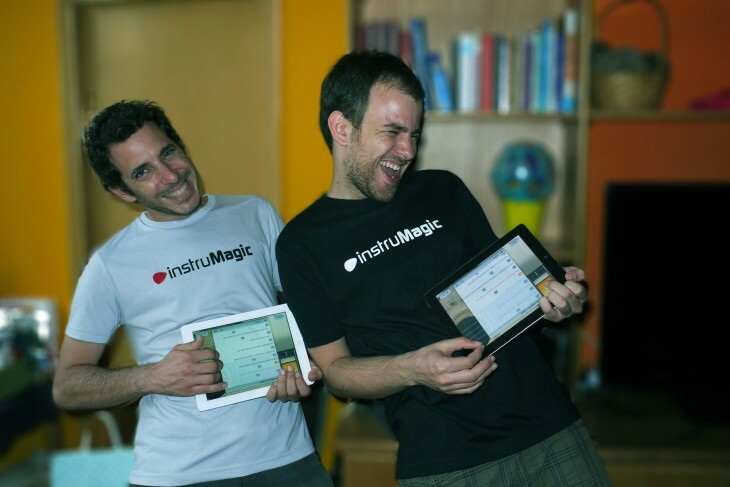 If you’re prone to serenading your friends while doing air guitar, the new Songful iPad app from InstruMagic and Ultimate Guitar is for you. The $2.99 app lets you strum through any chord page from Ultimate Guitar’s 200,000-song collection. The best part is you can hold it like a minstrel or a hippy with an autoharp and strum and sing along. Israel-based InstruMagic has taken it upon itself to create “ultra-friendly music-playing apps”, and teaming up with Ultimate Guitar was a wise move. The quality of the charts can vary from song to song, but you can pick through different versions and a star rating system helps weed out the duds. You can provide feedback on the songs from within the app, in case you find a mistake, and you can also share to Twitter and Facebook. Also a nice touch, the app has a ukulele sound, so you can perform that cover of “Somewhere Over the Rainbow” you’ve been dreaming about. Favorited and featured songs can be accessed offline, but you’ll need an Internet connection to browse the full library. The app really is quite friendly to non-musicians. You can just strum away on a chord and then tap the arrow to move to the next one. As a guitar player, I found myself wanting to do more with the app, like fret individual notes or re-voice the chords, but that’s not really what this app is about. In many respects, it’s more like an interactive karaoke interface than a virtual guitar. That being said, it could be useful for beginning guitarists to learn on. If you’re just learning to pluck out chords, you could easily pull up a chord chart on Songful and check your own sound against the app’s. Instrumagic says an iPhone app is coming soon. I’m sure we can expect more easy-to-use music apps from the team in the future, and that’s music to my ears.